Toranomon Hills is the crown jewel for Mori Building’s mixed-use office/hotel/residential projects. The residences on floors 36~46 are without a doubt the most luxurious apartments currently available in Japan. This has been the most expensive reported re-sale in this building on a price-per-square-meter basis to date, selling for about 10% more than another 1-Bedroom unit sold for in late 2016, and 26% more than a sale made 12 months ago. There is currently just 1 sale listing in this building listed for 4,940,000 Yen/sqm and leased to a tenant, providing a gross yield of 2.77%. A 24-storey mixed-use office and residential building developed by Mori Building in 2009. Lower floors contain office, while upper floors contain luxurious residences. When new, apartments were priced between 1,100,000 ~ 1,800,000 Yen/sqm, while penthouse units were priced at around 3,000,000 Yen/sqm. This was a spaciously-sized 2-Bedroom corner apartment. This has been the most expensive reported sale in this building on a price-per-square-meter basis to date. It sold for approximately 76% more than a similarly-sized apartment sold for in early 2014. There are currently no sale listings in the building. A 39-storey high rise in the Roppongi neighbourhood with concierge, gym, guest suite and resident lounge. Current asking prices in this building range from 1,830,000 ~ 3,000,000 Yen/sqm, with an average price of around 2,360,000 Yen/sqm. There are currently 17 sale listings, of which 10 are leased to tenants and suitable for investors only. There have been 5 reported re-sales to date in 2018 with an average sale price of around 2,040,000 Yen/sqm, up 4.1% from 2017 (1,960,000 Yen/sqm) but down 2.9% from 2016 (2,100,000 Yen/sqm). This was a corner apartment on a mid-floor. It was leased to a tenant and sold with a gross yield of around 3.2%. Located next-door to Park Court Azabu Juban The Tower. Current asking prices in this building range from 1,870,000 ~ 2,285,000 Yen/sqm. Despite having 502 apartments in the building there were only 9 units available for sale as at the end of March 2018, representing just 1.8% of the total. The average size of an apartment for sale was around 64 sqm (689 sq.ft). This was a compact 2-Bedroom apartment on a mid-floor with views towards Tokyo Tower. It was leased to a tenant and sold with a gross yield of around 3.5%. This has been the 4th most expensive reported resale in this building on a price-per-square-meter basis to date. It sold for approximately 43% more than it previously traded for in 2013. 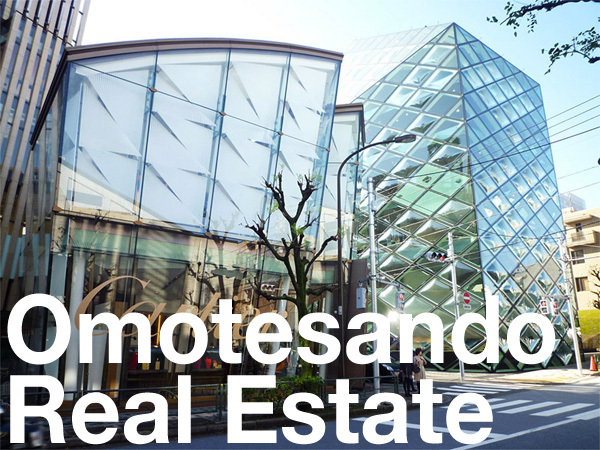 A large-scale complex of 196 apartments located a 10 minute walk from Omotesando Station. There were 4 apartments available for sale as at March 2018, of which 1 was already under offer. The average sale price in 2017 was 1,585,000 Yen/sqm, up 10.8% from 2016 (1,430,000 Yen/sqm) and up 22.9% from 2015 (1,290,000 Yen/sqm). This was a large apartment on a high floor. It has been the most expensive reported resale in this building on a price-per-square-meter basis to date. A 26-storey high-rise located near the US Embassy in the Akasaka/Toranomon district. There are currently just 2 sale listings in the 87-unit building with asking prices ranging from 1,580,000 ~ 2,000,000 Yen/sqm. The average price in this building when new was approximately 1,550,000 Yen/sqm. This was a large corner unit on a mid floor. It has been the second most expensive reported resale in this building on a price-per-square-meter basis to date. The average sale price in 2017 was 1,690,000 Yen/sqm, up 11% from 2016. A 24-storey high-rise located a 6 min walk from Hiroo Station and 12 min walk from Roppongi Station. When new, apartments were priced at around 1,300,000 Yen/sqm. Current asking prices in this building range from 1,650,000 ~ 2,200,000 Yen/sqm, with an average of 1,820,000 Yen/sqm. There were 8 apartments listed for sale as at March 2018, of which 5 were leased to tenants and suitable for investors only. The average resale price in this building in 2017 was 1,615,000 Yen/sqm, up 12.5% from 2016 (1,435,000 Yen/sqm) and up 5.2% from 2015 (1,535,000 Yen/sqm). This was a spacious apartment on a high floor. It has been the most expensive reported resale on a price-per-square-meter basis in this building to date and sold for approximately 13% more than a similar apartment a few floors down sold for in late 2017. Part of a two-tower complex including the Krono Residence (2013) and Tiaro Residence (2016). Together, the two towers contain 1,744 apartments. When new, apartments were priced at around 770,000 Yen/sqm by the developer. There were 29 apartments listed for sale in this building as at March 2018, up from 23 apartments in October 2017. The average asking price was 1,130,000 Yen/sqm. The average resale price in 2017 was 992,000 Yen/sqm, up 0.3% from 2016 (989,000 Yen/sqm) and up 2.3% from 2015 (970,000 yen/sqm). There have been 3 reported resales in 2018 with an average sale price of 999,000 Yen/sqm. This apartment sold for approximately 16% more than its price when brand new. A 53-story, 1,420-unit apartment building located on a man-made island in Tokyo bay. Construction was completed in December 2016. As at the end of March 2018, there were 31 apartments listed for sale (down from 33 at the end of February 2018) with an average asking price of 1,180,000 Yen/sqm. When new, the average off-the-plan price was around 920,000 Yen/sqm. The average resale price to date in 2018 is around 1,050,000 Yen/sqm, up 1.4% from 2017 (1,035,000 Yen/sqm). This was a north-facing corner apartment on a low floor. It sold for approximately 14% more than its price when new. Exchange rate is at the time of publishing the article and is subject to change (1 USD: 106.28 Yen).